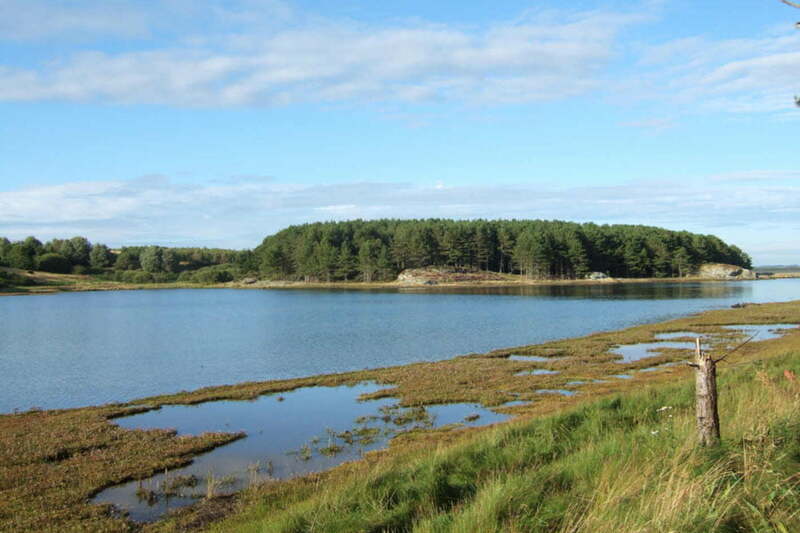 Penrhos Leisure Village, near Holyhead, has three components; Penrhos, Cae Glas and Kingsland. At Penrhos there will be 500 lodges and cottages with all-weather facilities including an indoor pool, restaurants and spa, with an outdoor water sports centre and beach. Cae Glas will host 315 lodges, a 75-bed hotel and central hub facilities. At Kingsland, on the outskirts of Holyhead, 360 new energy efficient homes will be built for open market sale with high affordable housing provision. The proposals will maintain 73 acres of publicly accessible land and woodland with a new visitor centre at Beddmanarch House, car parking and public toilets. 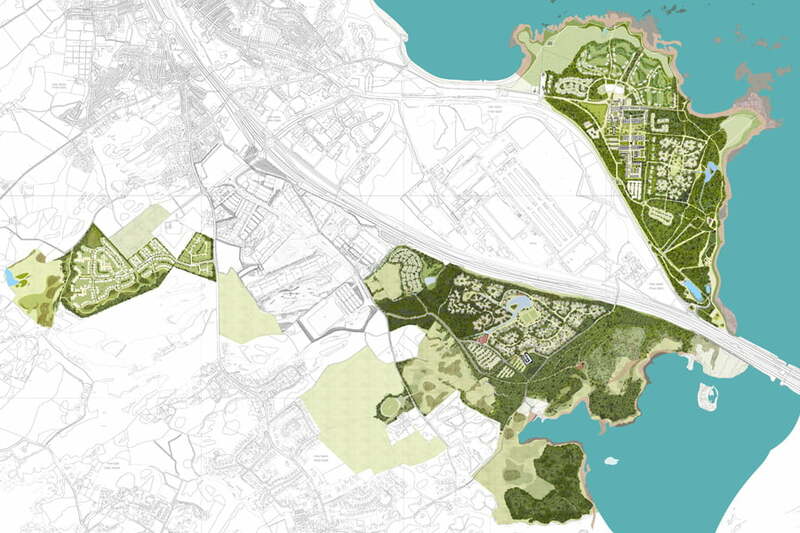 The coastal path will become a public right of way with access to a new coastal restaurant. 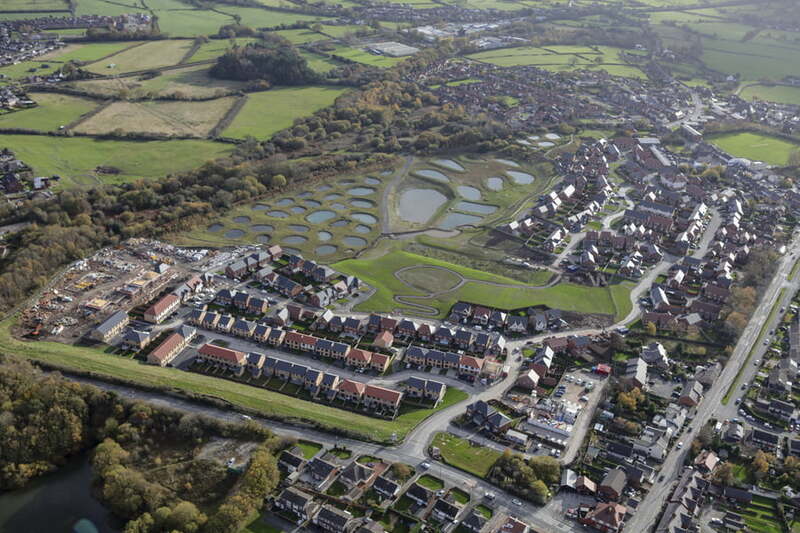 Cae Glas will see a new publicly accessible 100 acre Coastal Nature Reserve. 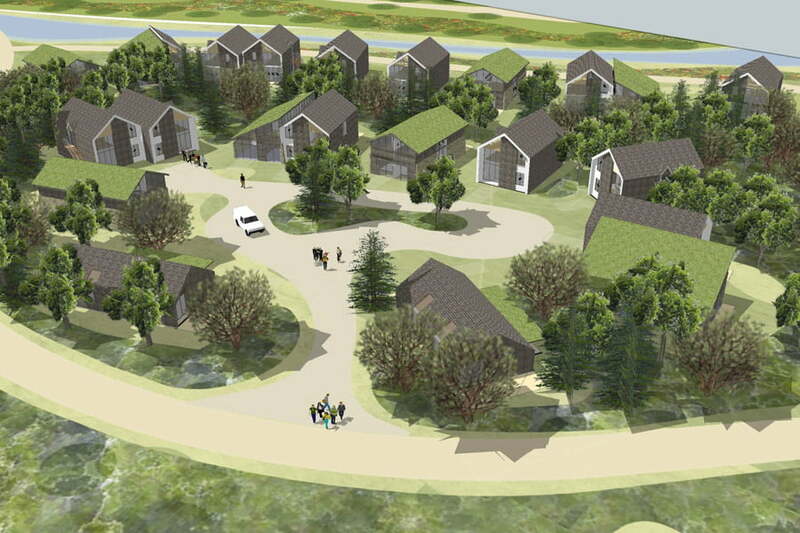 The Cae Glas lodges and Kingsland houses will only be developed if they are used in the first instance as temporary accommodation for construction workers involved in the building of Wylfa Newydd’s nuclear power station project 12 miles away. The development is a key part of the strategy to provide accommodation for a proportion of the anticipated peak of 9,000 nuclear construction workers, whilst delivering a vital legacy use through long term employment and training opportunities in the tourism and leisure industry. Once the temporary nuclear workers’ accommodation use has ceased on Kingsland, 50% of the houses will be offered as affordable housing to further enhance the planning gain for the Island. TEP supported Land and Lakes with detailed ecological and arboricultural surveys. Species of interest included bats, badgers, reptiles and red squirrels. The EIA and Habitats Regulation Assessment also had to consider the possibility of indirect recreational impacts on the Holy Island coastline, noted for its heathland and breeding choughs. The arboricultural assessment was challenging, because of the extent of woodland, much of which was even-aged, dating to the 1960s and 1970s. 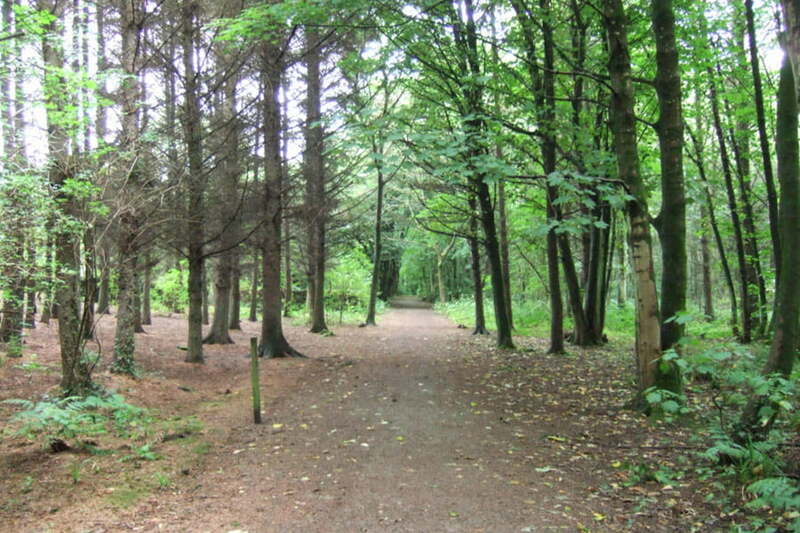 TEP considered how to maintain the amenity value of the woodland, and maximise its value as a setting for the proposed leisure village. The method of assessment, as a variant from BS5837:2012 to incorporate woodland values, was agreed with the Isle of Anglesey Council. TEP worked in a multi-disciplinary team with architects Purcell, HOW Planning, landscape architects Planit-IE and transport consultants, Curtins. 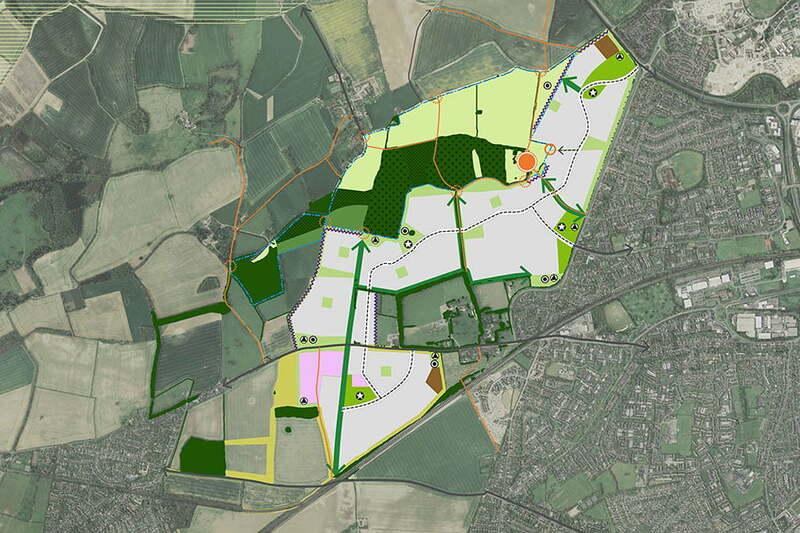 Planning permission was granted in 2016 and TEP is supporting Land & Lakes Ltd as it prepares for construction, with discharging planning conditions, protected species method statements and ecology management plans.